With his Dreams Come True foundation, Ethan Fox turns wishes into reality. Amazing trips. Meeting heroes. But Ethan has come to care deeply for a sick boy whose dream is…a dad. And not just any dad: Ethan. Though little Cooper has a great chance of getting well, widowed Ethan can't chance loving—and losing—again. Yet he's spending time with the sweet boy and his lovely, strong single mother, Lexie Carlson. Could a little boy's wish for a dad of his own come true after all? Lexie Carlson peeked into the meeting room of Mothers of Special Kids. She hated being late, and the reason for her delay had plunged her spirit to the pits. Despite trying to slip in unnoticed, her friend Kelsey Rhodes, the meeting moderator, spotted her. She sidled the few steps to Lexie's side, a frown etched on her face. "Something wrong?" Lexie shook her head, uncomfortable with Kelsey's attention, especially with the intriguing guest speaker standing nearby. A grin curved his full lips, and smile lines crinkled the edge of his gray eyes canopied by the thick blond lashes. His honey-colored hair glinted with copper highlights. As much as she wanted to shift the focus, she leaned closer to Kelsey, managing as pleasant a look as she could. "No. Just a phone call." Hoping to end the questions, she slipped into a nearby chair and turned to the front. Thank goodness Kelsey had moved away, relief spreading across her face. Relief. Lexie welcomed the expression from women like her who faced life with seriously ill children. Their support brought her here weekly and had become her mainstay. "As I was saying," Kelsey said, sending a teasing smile her way, "I'm glad so many of you are here today since we have a special guest." She motioned toward the good-looking man a few feet away from Lexie. Something about him captured Lexie's attention. His gray eyes glided past her with a twinkle that matched his grin. A giddy feeling swept over her, causing her to grin back. The ridiculous reaction unsettled her. Kelsey beamed at the women. "This is Ethan Fox, who sits on the board of Dreams Come True Foundation, and he's here to tell us about a wonderful opportunity for you and your family." He swung his hand in a brief wave. "Happy to be here." The women applauded. Lexie liked his voice, warm and rich as a cinnamon bun fresh from the oven. Guilty pleasure swept over her at the thought of the sugary treat. It was one of her vices. Kelsey motioned Ethan forward. He strode to the center, slipping one hand into his pocket while the other clutched what appeared to be a stack of brochures. His shirt had thin blue stripes on a white background. Lexie liked the way he coordinated his attire with his beige and navy tie. He looked like a spit-polished executive minus the suit jacket. Ethan's gaze locked with hers and he smiled. A flush warmed her neck, and Lexie glanced away, but the look hadn't escaped her friend. She ambled closer to Lexie and arched a brow. Lexie drew in a breath and gave a quick shake of her head, immediately wishing she hadn't responded to Kelsey's implication. "I hope most of you have heard about the Dreams Come True Foundation." Ethan scanned the group of women. His comment yanked Lexie's attention. She'd never heard of his organization. She surveyed her peers to see how many had. Only a few women nodded. Most gave Ethan blank looks that probably matched hers. He shook his head. "I'm disappointed. I had hoped most of you knew about Dreams Come True, but this makes me especially pleased that I'm here today." He handed Kelsey a stack of brochures and refocused on the women. Kelsey stood at the end of the first row of chairs and counted out the brochures, but Lexie didn't keep her attention on her friend for long. She studied Ethan Fox. "Dreams Come True is a foundation that provides children who are surviving a serious illness with the means to reach a dream. By this, I mean the foundation plans, arranges and finances your child's dream. This is not a national organization, but one founded in South Oakland County by an anonymous donor. He doesn't serve on the board, and he is contacted solely through an attorney." Kelsey appeared, slipped a brochure into her lap and settled into the empty chair beside Lexie. She avoided Kelsey's direct look. She wanted no more arched eyebrows. Instead she scanned the brochure as she listened to Ethan. Sincerity always captured her attention, and she suspected the man had a love for what he did for kids, but the foundation sounded like a fairytale, where happy endings were the norm. Long ago Lexie had given up wishing on a star and singing down a well. Her prince had galloped right past, taking the glass slipper with him, and at this point in her life, she didn't expect another heroic knight to pass by. Ava Darnell's hand shot up. Lexie liked Ava, although her curiosity sometimes took precedence over wisdom. Ava's son and hers shared a similar disease. They'd both experienced the ups and downs of cancer, and being alone, Lexie empathized with Ava's struggle as a single mom. Ethan gave her an acknowledging nod, and Ava lowered her hand. "Does the donor live in the area?" Ethan lifted his shoulders. "I don't know for sure, but I suspect he does." "Do you think he's a teacher or something? Someone who knows—"
"Those of us on the board have no other information. As I said, he's an anonymous donor." A frown flashed across his face. "But that doesn't diminish the wonderful opportunity that you have as parents to apply for one of these gifts." Ava lowered her head, but her mumble could still be heard. "But why? I don't get it." Kelsey rose from her chair and took a step closer to Ethan. "It's difficult for us to imagine such kindness from a stranger, someone who doesn't know our children, but we appreciate learning about this wonderful charity." Lexie tried to cover her grin. Kelsey served as the meetings troubleshooter even when she wasn't the moderator. Lexie wished she had Kelsey's knack to calm a crisis and soothe people's hearts, but she approached trouble with common sense. Avoid emotion. That's how she'd survived. Ethan's expression relaxed. He gave Kelsey a pleasant nod as she settled back in her seat. "It is a charity of a sort, but please don't think that your family's income is considered. This donor wants to give a sick child something to look forward to. To experience something that seems—or seemed—impossible. It's more than a charity. You have all been faced with family adversity, watching your children suffer from a variety of serious illnesses. The Bible tells us to be imitators of God and live a life of love, just as Christ loved us." His gaze scanned the women. "I think that's what the donor has done. He wants to bring unexpected joy into your children's lives and into yours." Tears welled in Lexie's eyes. Though she had never been a person of faith, what he said made sense. Sick children deserved happiness. So did their parents, but most of all, the point he made struck her. Charity was more than generosity. It was giving from the heart as an act of love. That's what parents did for their sick children. They gave, never expecting any repayment except to see their children well and happy. That was payment enough. Surprised by her reaction, she brushed tears from her eyes, and when she focused again, Ethan's expression alerted her he'd noticed. The man seemed tuned to people's needs. Though the attribute was admirable, it didn't set well with her. She liked to keep her problems private. Lexie dropped her musing. What difference did it make what he thought? Another hand shot up. "What kind of dreams are you talking about?" Ethan's eyes sparkled. "Glad you asked. Some kids want to meet a sports figure or a popular singer or band. Young girls often want to meet Hanson or the Jonas Brothers, for example. And vacations. Many children want to see the ocean or mountains or even go on a Caribbean cruise. Others want to visit a popular amusement park. It can be anything." "And you can arrange that?" Ethan grinned at the woman, a newcomer, in the front row. Ethan's gaze swept the audience. "We sure can. Sometimes the dream is as simple as learning to ride a horse or riding on a fire truck. Every dream, no matter how simple or elaborate, we do our best to make it come true." Murmurs rose from the women, including Kelsey, who joked about her dream to have her bills paid. Lexie liked that dream herself. While other women posed their questions, Lexie sank into her own thoughts. She pictured Cooper asking her if he could go to school today. That was his dream, and it hurt to tell him no once again. He was in the second grade. Time flew. It seemed only yesterday he'd been a toddler. She ached thinking of how much school Cooper had missed since his diagnosis. She'd asked herself why so often, but no answer came, and she didn't expect one. Her life had been filled with unanswered questions, but she wasn't one to pity herself, and she didn't plan to start feeling that way now. Cooper was her joy. Her son. No illness could take that away. A wave of shame rolled through her. 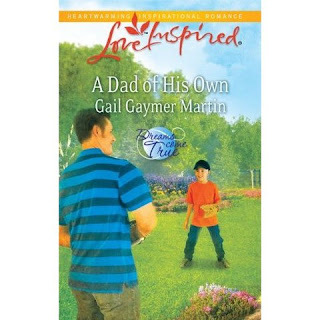 She'd made the worst mistake of her life falling in love with his father, and afterward she'd dealt with more than her share of sorrow before Cooper's birth. But once she looked into her son's face, she melted and knew she'd made the right choice. Even now with everything that had happened. Lexie flipped open the brochure. Thoughts of taking Cooper on a trip to one of the major amusement parks or to the pyramids in Egypt struck her as impossible. Yes, she loved to dream, too, but dreams only led to disappointment. Oh, how she knew that. She pressed her lips together, forcing back the sudden surge of emotion that caught in her throat. More random questions were posed while Lexie sank deeper into her thoughts. She envisioned Cooper healthy and happy, having all his dreams come true. Her longing sizzled to frustration. She'd asked herself many times if Cooper's illness had been punishment for her bad choices. What about Jesus? What about the loving God she'd heard so much about? Would God hurt a child to get even with a parent? A loving God would not. She forced her thoughts away from her eternal struggle as her pulse slowed. Time to cling to her optimism. She coped better that way. "If there are no more questions, let's give Mr. Fox a round of applause for coming here to share this wonderful opportunity." Kelsey's voice jerked her to the present. Surprised that she'd returned to the front of the room without her awareness, Lexie's dropped the brochure to her lap and clapped her hands with the other women, her gaze on the man with the engaging smile. Kelsey stepped away as a few members surrounded Ethan, and drawing up her shoulders, Lexie rose and slipped the leaflet into her shoulder bag. She glanced at her watch, thinking how quickly the time had passed before she remembered she'd been late for the meeting. She'd missed the women's time to share their weekly ups and downs. Today she appreciated not having to add their emotional needs to her own. As she reached for her bag, she felt Kelsey's hand rest against her shoulder. "Interesting idea?" Her mind pulled itself from her muddle of thoughts. "What idea?" A moment passed before she found a response. "For some, it is." She grabbed her purse and then looked up. "Cooper's not well enough yet." Kelsey's face sank to a frown, but as her expression flickered, her hand flew to her mouth. "Oh, Lexie, I should have guessed. The phone call. Was it bad news?" "No worse than usual. It was the doctor, but nothing drastic. Just discouraging. Cooper's last treatment didn't show any improvement. His white cells are still too low." Saying it made it too real. Her chest emptied of air, but she grasped the positive. It could have been worse. The test could have shown he'd regressed and it hadn't. "I'm sorry the news wasn't better." "It's part of life, right?" She curled her arm around Kelsey's back. "How's Lucy doing?" her tasks. "So I need to run, and…" A playful grin curved her mouth. "Sure you do." "Maybe you could wait until Ethan's finished before leaving. I hate to rush off without seeing him out of the building." "Good planning, Kelsey." Lexie shook her head at her friend's obvious plot. "Thanks." Kelsey wiggled her fingers in a silly goodbye. "I saw the eye contact." The words flew over her shoulder. Before Lexie could rebut the insinuation, she'd vanished beyond the doorway. Lexie tossed the strap of her bag over her shoulder and rocked back on her heels, eyeing Ethan as he spoke to the last woman. They seemed so eager for information, and part of her wished she could be as enthusiastic. Turning her back on them, she dealt with her feelings as she dug into her shoulder bag for her car keys. Brain tumors. Leukemia. Heart disorders. So many illnesses were part of life for the people who attended. Yet some had higher hopes than others. Some children were in remission. Some weren't—like Cooper. But Cooper could be worse, and she had to remember that. No progress was better than his exacerbating. Big strides were wonderful, but small steps moved them forward. She'd learned to find joy in small steps. Each time she looked into Cooper's face her heart filled with the same kind of happiness. When she found her keys, Lexie stepped back and smacked against someone. As she spun around to apologize, her shoulder bag slipped down her arm and dropped to the floor beside a pair of men's shoes. "Sorry about that." Ethan bent to retrieve her purse. He smiled as he rose. "What do you carry in that thing? A wrench?" Lexie gathered her composure and managed a friendly smile. "You never know when you'll need one." Ethan chuckled and returned her bag. "You're a woman after my own heart. Always be prepared." If only she were. Lexie's pulse escalated. "Thanks, and it was my fault, you know." She slid her bag onto her shoulder again, realizing it was heavy. "Michigan has the no-fault ruling." "That's for cars." Silly talk, but she enjoyed it. Ethan rested his hand on the back of a chair. "No men in this group, I see." "The M in MOSK stands for mothers. Mothers of Special Kids." Still, he'd made a point. She studied his face, wondering why support for men interested him. "A number of us are single mothers, and the married women haven't asked." But the question did arouse her curiosity. "You're a man. Do you think—"
"Glad you noticed." A twinkle lit his eyes.